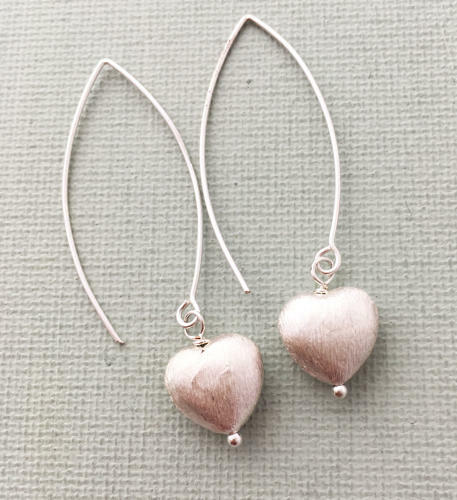 A lovely etched silver plated heart on a long earring wire. Designed and made in England. Length 6cms.